EV Grieve: Is this finally the end for the Mary Help of Christians Catholic church on East 12th Street? 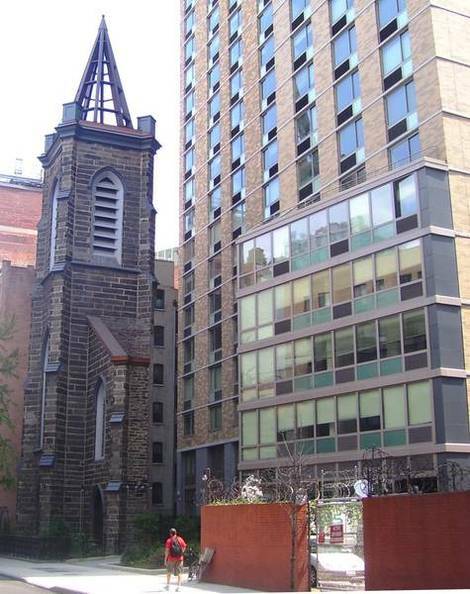 Is this finally the end for the Mary Help of Christians Catholic church on East 12th Street? There are rumors that the church and school property are being sold by the Spring ... I'm afraid that NYU is buying it and going to build dorms. Still, there is some precedent for the worry. 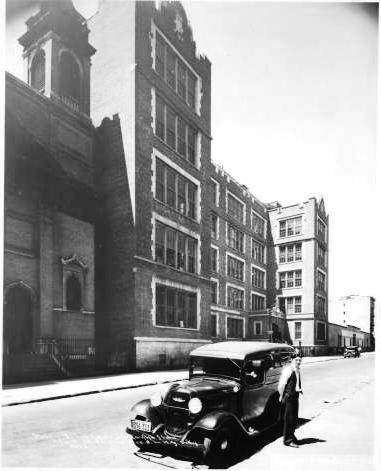 In February 2004, the archdiocese sold St. Ann’s on East 12th Street between Third Avenue and Fourth Avenue for a reported $15 million. There is now a 26-story NYU dorm at the site. But that was before the 111-block rezone. While this East Village church will continue to have two Sunday Masses for the immediate future, they will be overseen by a different church, Immaculate Conception on 14th Street and First Avenue. In September 2008, The Real Deal reported that "Two thirds of a 15,000-square-foot East Village playground ... is under contract in a quiet, all-cash sale for $10.4 million." The playground — home to the weekend flea market — is divided into three ownership lots, according to The Real Deal. Two of the parcels are (or were) owned by a Roman Catholic order called the Salesian Society. The Archdiocese owns the church located on a 13,000-square-foot lot. Joseph Zwilling, spokesperson for the New York Archdiocese, didn't respond to an email seeking comment. Meanwhile, for whatever reasons, the parishioners are hearing the rumors of the church's demise once again. Perhaps with the continued progress at St. Brigid's on Avenue B — one optimistic estimate had the church's renovations complete by the end of next summer — Mary Help of Christians is becoming expendable. They have to pay out all those pedophilia lawsuits somehow.